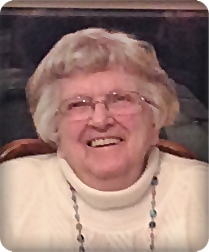 Mary Spidell, age 91, of Grand Rapids, passed away on Thursday, May 17, 2018. She and her husband, Leon, owned the Sew and Saw Craft business. She loved knitting, playing cards, and going to the casino. Her son, Craig Spidell; and brother, Albert Hyde, preceded her in death. A loving wife, mother, grandmother and great grandmother, Mary will be deeply missed by her husband, of 64 years, Leon; her children, Jeffrey (Barbara) Spidell, Susan (Michael) Shive; grandchildren, Bradley and Alex Spidell, Nicole (Jacob) Meyerink, Daniel (Kaitlin) Shive; great grandchildren, Jonathan, Madelyn, Kennedy; sister, Elizabeth Hyde; brother-in-law, Carl (Shirley) Spidell; many nieces and nephews. The family will greet visitors on Sunday, May 20, from 2 - 5 pm at the funeral home. The funeral service will be held 10 am Monday, May 21, at Stroo Funeral Home. Entombment in Chapel Hill Memorial Gardens. Memorial contributions may be made to Down Syndrome Association of W. Michigan. "Content could be the king" -this remarks is without question saying by people.